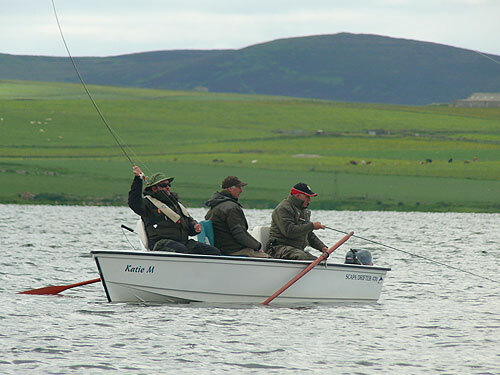 It had been a long time coming, twenty six years to be precise, but the Spring Fly Fishing International returned to Harray Loch last Friday, the 10th of June. It was the culmination of a brilliant week for all involved, we had the weather that everyone had prayed hard for, favourable, albeit changeable, and the fish certainly played ball. For most of the teams, their week started on Tuesday, with Wales being the exception. They had decided to have the weekend prior in addition, a move that was to pay dividends come match day. The practise days went well for all teams, with the wind, brisk at times, shall we say, from a different direction each day. The olive hatch that was so prolific on Monday and Tuesday tailed off as the week progressed, which was disappointing for many anglers, as it suited their style of fishing with dries and top of the water tactics taking many fish. It was sinking line tactics that became more prevalent as the week progressed, and the teams that could adapt and change would benefit. It was also noticeable that flies which had been successful earlier in the week had to be toned down as the fish became more tentative. All practise days were on a catch and release basis. Tuesday 7th. 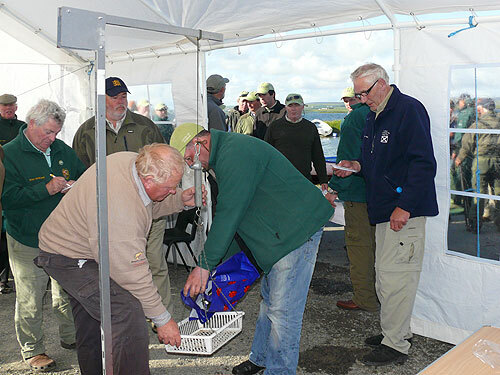 This was the first official practise day and the site at Harray was just buzzing, as the 56 International anglers, each with their allotted local ghillie set out for their first day on the loch. There was a SE wind and cloud cover initially, and a huge hatch of olives, especially in the south end of the loch, outside Stoneyhill and Bochan. 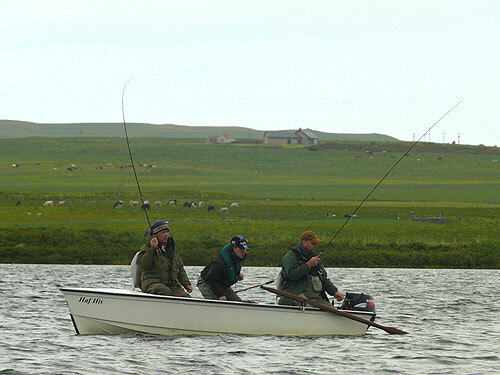 With the visiting anglers having read about how tremendous the fishing on Harray could be, they were not to be disappointed, as many boated fish in their first few casts. 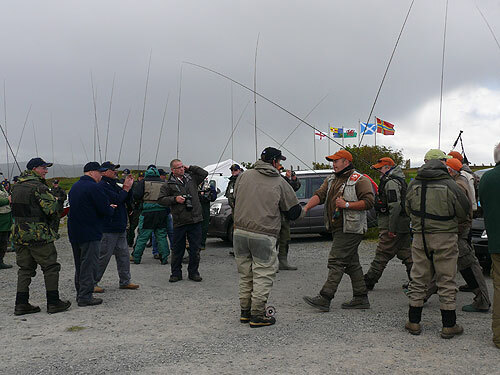 In these conditions, top of the water sport was enjoyed by all for most of the day, and each team caught plenty of fish, a real confidence booster for the many anglers who were fishing their first International. Harray is a very mixed tactic water, and there is always another, sometimes better way than the obvious. Wales and Scotland were quick to discover the catching power of the sinking line, even during the times when fish were high in the water. 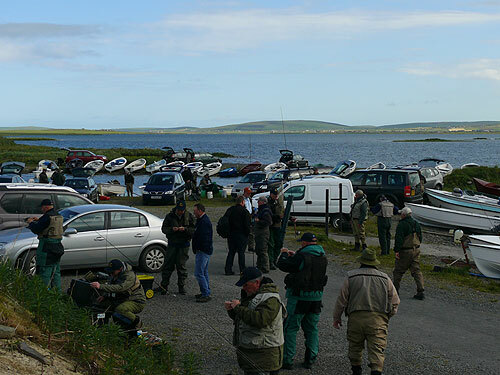 The draw for boatmen and boat partners was made at the hotel, this was the hot topic of conversation for the evening as anglers and quite a few ghillies enjoyed a relaxing refreshment or two. Wednesday 8th. Day two, and with their team meetings and fly tying sessions of the previous night to give them more information, it was again a hive of activity at the site first thing. 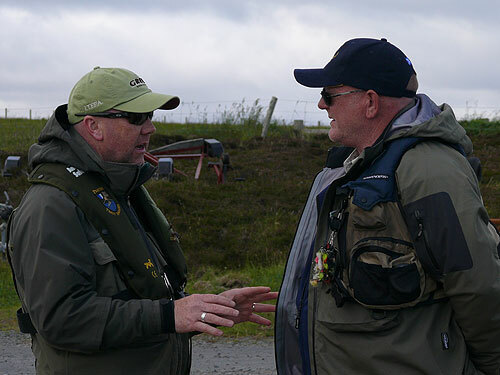 Things went slightly different to the first day, as the anglers had relied greatly on the ghillies to show them round the loch and advise on tactics, today there were team orders to follow and areas to fish at certain times with particular methods. It would be fair to say that the fishing was a tad harder for some with a strengthening easterly putting the fish off in the morning. 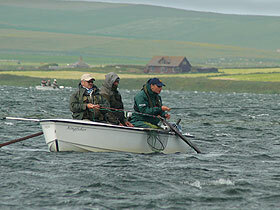 There were still fish to be had, and, as is typical of Harray, different areas worked with the change in wind direction. 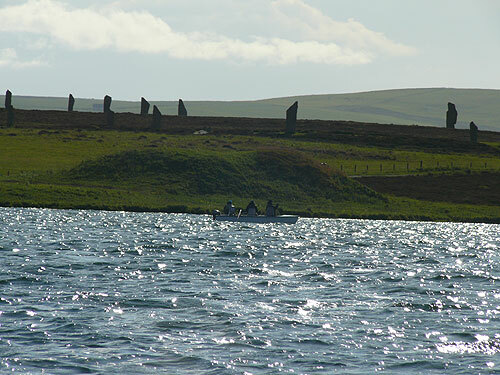 The open water drifts off Stoneyhill, Ballarat, Tenston and Biggings were the hot spots according the ghillie tic-tac, and sinking lines were more successful. Thursday 9th. The last practise day, and the final opportunity to hone tactics and finalise the game plan. Once again the wind changed , round to the NW and by mid afternoon, and blowing hard. 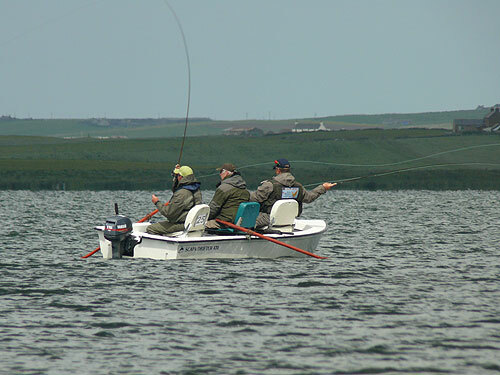 While some of the anglers did not enjoy the white knuckle ride in the big wave, the Irish team felt right at home, and they had a particularly productive day fishing the shallow water and skerries about the Ess Holms and Merkister . 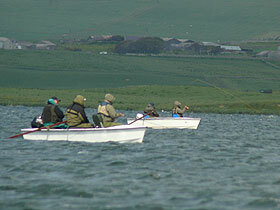 Once again the general concensus was that the deep water drifts were still out fishing the shallows and Scotland had done very well, England had not fared as well as earlier on in the week, with a combination of lack of olives on the water and the blustery conditions affecting their catch rate. Wales, it was felt, were very happy with what they had done earlier in the week and had a more relaxed day, fishing different areas and tactics, generally avoiding the areas which had been good for them, it was a confident team that chose to finish at 3pm and head for the hotel. International Day 10th. The big day. Two years of planning and organising by the OTFA, SANACC and IFFA culminated in what was to be a memorable day for all concerned. The STV television cameras and newspaper reporters were all there to ensure full coverage of this International event. 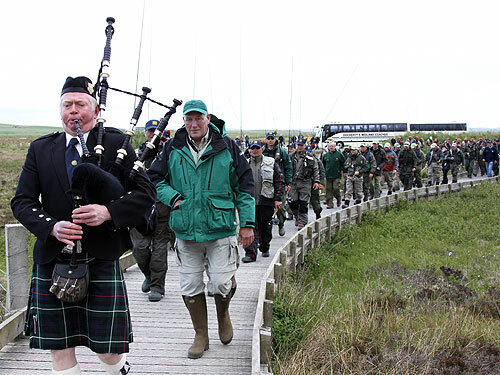 One of the most impressive sights was the march of the anglers to the boats, admirably led by local piper Andy Cant who played many rousing tunes on the way. All teams, led by their respective captains, Clive Collier for England, Denis Goulding for Ireland, Marco Orsi of Wales and Willie Simpson of Scotland were welcomed into the site by the large crowd which had assembled, but it was the roar of the cheering which greeted the Scots which will be an abiding memory for many. 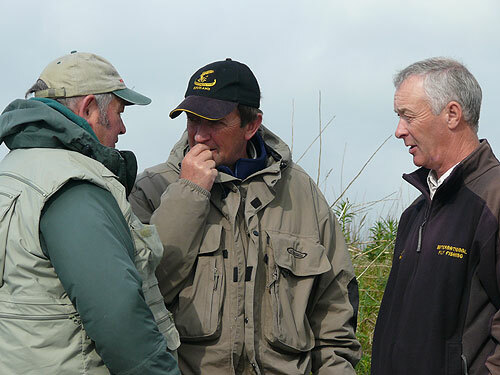 Then once the ghillies briefing was completed and toss up for ends of the boat to fish in by anglers was decided, everyone took to the boats. As the klaxon sounded for the 10am start, it was immediately clear that the angling was going to be well spread out as each boat set off to their preferred starting position. 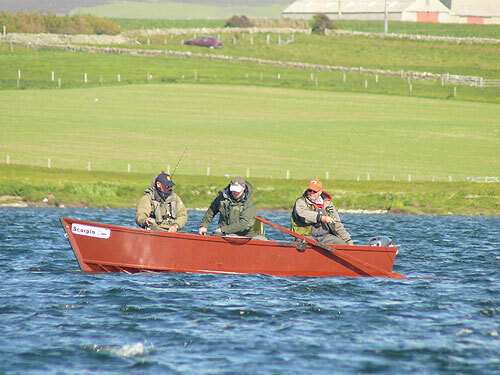 Surprisingly, the majority of boats headed south to Kirk Bay, Lochside and Stoneyhill. A few dropped into Bochan, Ballarat,and Tenston with the rest forging on up to the Golden Triangle at the Sword. Conditions at the start were very favourable with a light Se breeze and cloud cover. There was evidence of a large Caenis hatch which had taken place early morning and for a moment or two, it looked as the wind would drop sufficiently to bring it on again, but it was not to be. 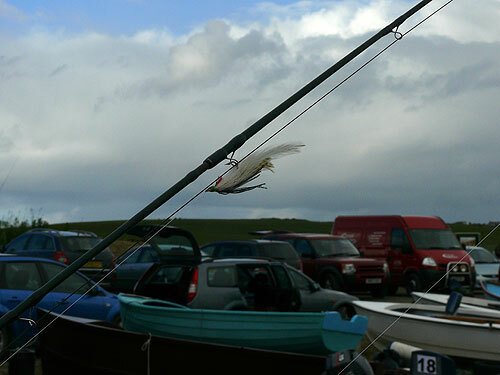 The wind strengthened as the match progressed to a very fishable 15 to 20 mph. 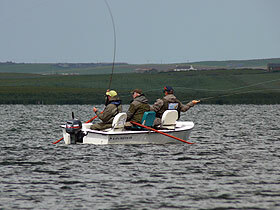 Many anglers found fish right away, with reports of 5 or 6 fish in the first hour. 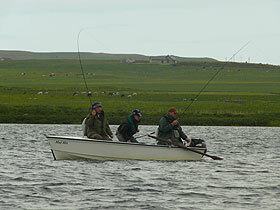 The match was fished to a catch and release after 6 fish, with each additional fish recorded and allocated a weight of 12ozs. 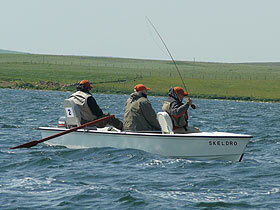 The middle part of the day was slow for many, but dependant on location, some anglers caught steadily all day. As always, the day passed too quickly for some who were catching, and could not finish soon enough for those who struggled as the 6pm finish came. 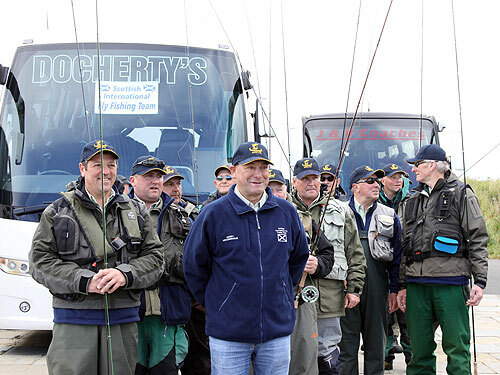 Amazingly, there were still fish caught just outside the buoyed off, start –finish area, with minutes to go. Once everyone was ashore, it does not take long for the respective team managers to do a quick tally and it was evident immediately that it was going to be a close run thing for the Gold Medal. The weigh in was completed very quickly by the very efficient match officials, and it was Wales who were overjoyed with their 1st place, with Scotland 2nd, Ireland 3rd and England 4th. 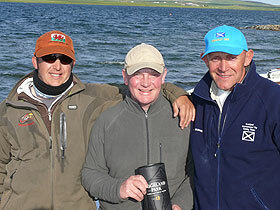 A bottle of Highland Park was the prize for best boatman and this was won by Jim Adams. 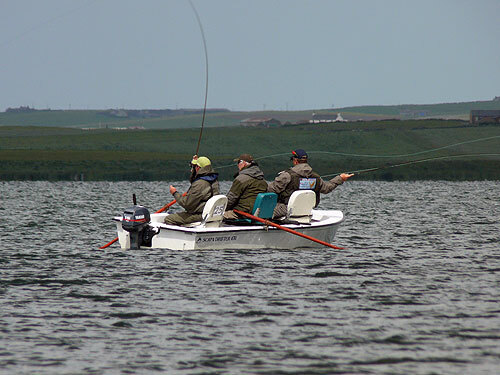 Tactics were very similar for most of the teams with Intermediate lines and Hedgehogs and muddlers doing well in the shallow water and Orkney style muddlers and mini lures the answer over the deeper water. Throughout the week, the ghillies quietly felt that Wales would be the team to beat, but Scotland were to push them all the way. The extra couple of days that the Welsh boys had probably gave them the edge, with Monday being an unbelievable days fishing, with fish rising all over the loch to olives. 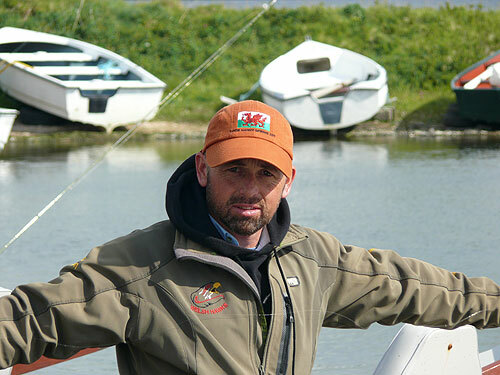 Wales also had the line that was working best, The Airflo Sweep lines, in DI3, 5 and in particular, the 7, with their action in the water seemingly inducing more takes from the fish. They also came up with some new productive patterns, in particular the Milk Maid and the Black Swan, variations on a theme, but very productive. Erlend’s Cat did very well for most anglers as did Peach, Viva and Black Muddlers, Merkister Maid and Hedgehogs in Orange, olive and Peach. The international Dinner was held in the Ayre Hotel, Kirkwall. It was there that the finer details of the day’s results were announced. 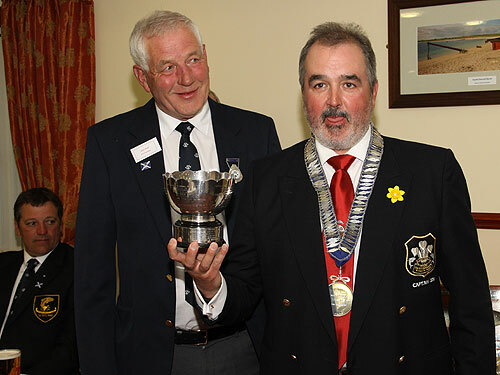 Wales collected their Gold medal, and the Graham Munro Hall Memorial Trophy with 126 fish for 97lb 4ozs, they also had the Brown Bowl and Gillie Farr Trophy winner, Aled Dixon, a very popular recipient with his fellow anglers, with 18 fish for 13lb, a tremendous effort on the day. 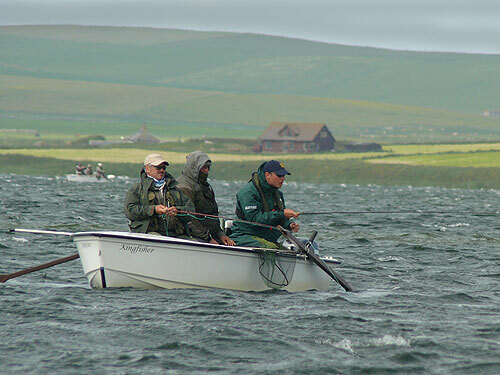 Aled was pushed all the way by team mate Anthony Cartwright who had 17 fish. Silver went to Scotland with 113 fish for 87lb, which is actually extremely close as it is only a fish a man short, and I am sure they will all remember the one that got away. 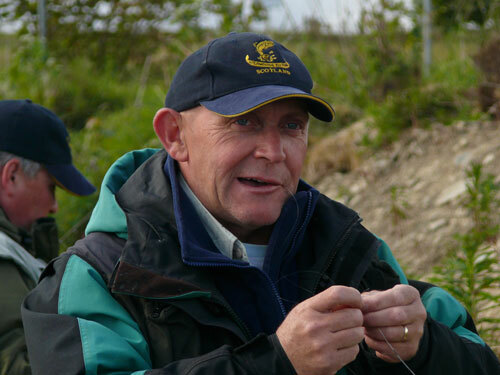 Top rod and Phoenix Salver for the Scots was Nigel Burns with 12 fish. 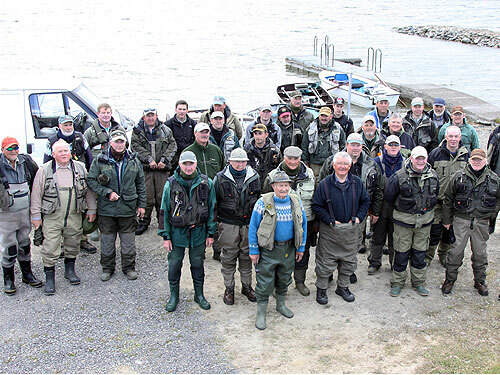 Third place went to Ireland with 81 fish f0r 62lb, with Arden Pollack winning the Harry Lafferty Cup for their top rod, Arden also won the H. Emyr Lewis Memorial Trophy for the heaviest trout of the match at 1lb 11ozs. England were 4th with 63 fish for 46lb 6ozs, with Andy Croucher taking the Grafham Trophy for their heaviest bag on the day. The John Hedges Chalice for the best basket in the Officials match was awarded to Scotland Coach, Sandy McConnachie. 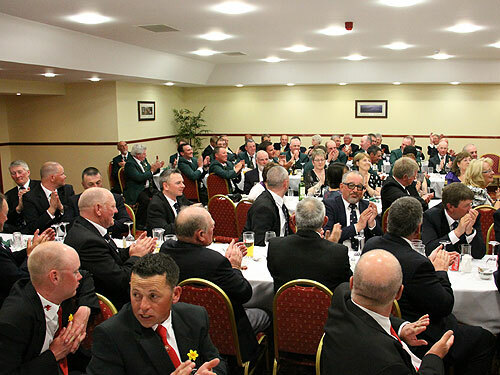 Following the dinner, anglers, officials and ghillies met in the bar and enjoyed a brilliant social evening. 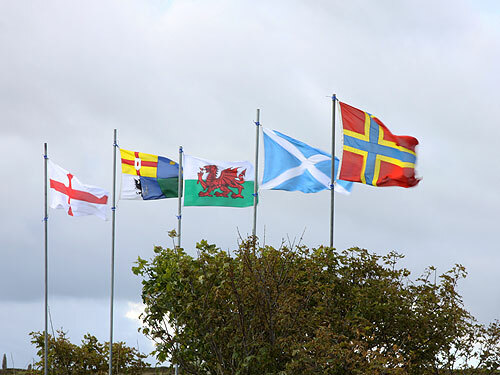 To host such a prestigious event in Orkney takes a lot of hard work, not only on the week of the International but the months leading up to it for the OTFA and the SANACC officials. 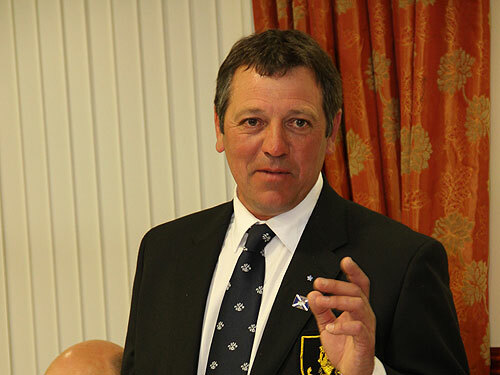 The OTFA members and the International Sub Committee, led by Malcolm Russell were tasked with the work, and they rose to the challenge producing an event that received high praise and accolades from each and every team captain and official at the awards dinner. 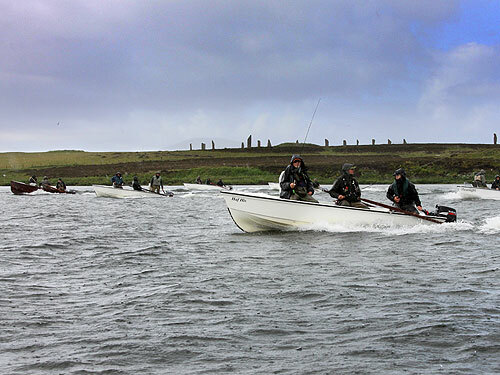 The OTFA ghillies in particular were singled out for their unstinting help and commitment for the week, and of course, the fishery itself, Harray Loch, was the toast of the night, securing its position in the angling world as one of the top wild trout fisheries. 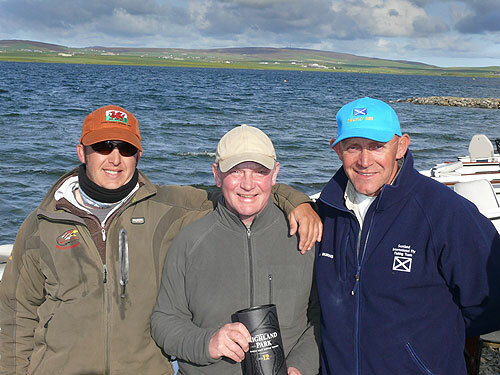 The support received by the OTFA from local business and individuals was outstanding, with particular thanks to the two Hotels where the anglers were based, The Shore and the Ayre. 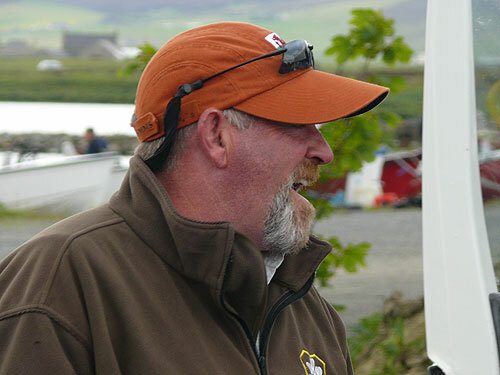 Anglers who attended the International Dinner in the Ayre, many who have fished numerous Internationals, commented that it was the best meal they had enjoyed, all the more pleasing when the menu was exclusively local Orkney produce. The Merkister Hotel and John Munson their Head Ghillie,generously provided the Safety Boat and support with spare engines etc for the event. As indicated earlier, Andy Cant was outstanding in his leading of the march, and many thanks to Rob Hill at the Swannay Brewery for supplying the refreshments at the weigh in; the Scapa Special was much appreciated by all and many thanks to Golder Landscaping for the flower barrels which brightened up the site. Finally, the help received and provision of the 1st class temporary toilet block from Casey Construction and Kevin Casey in particular, a very necessary facility to have on site, especially on match day when it seemed to be very busy for some reason. 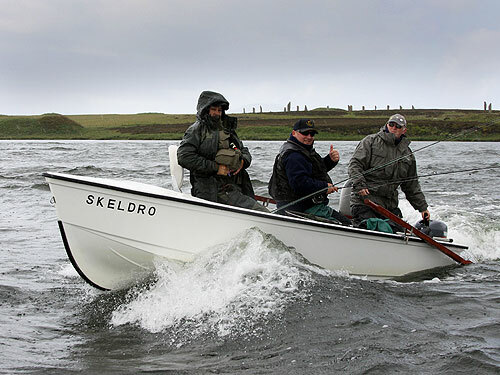 Looking back, it was a very successful week, with all who took part, whether it be, with rod in hand, ghillieing, or officiating, having made many new friends, and enjoyed the Orkney experience and all that we hope is, that the International returns to Orkney sooner rather than later.